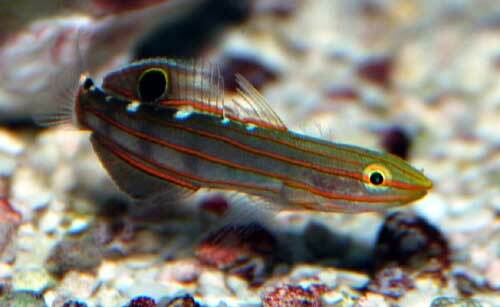 A nice little goby that will hang out on the bottom of the tank. Needs sand and rocks to hide. Shouldn’t be keep with any aggressive fish. You need to make sure food reaches the bottom as they don’t like to leave the shelter of the rocks.